City sewer lines and pumping stations are notorious for collecting all sorts of trash and debris such as rags, diapers and even thick materials like clothing — all of which need to be physically removed and hauled away before they damage the pumps and other sewer systems. 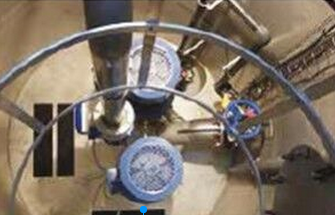 C&B Equipment has the solution — the Direct In-Line Pump, or DIP System®. 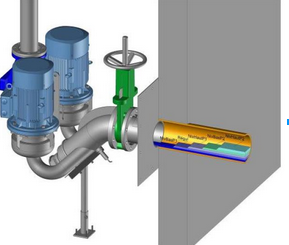 The DIP System makes it possible to design durable and economical pumping stations. This innovative wastewater pumping system also shreds through trash and debris effortlessly which allows for uninterrupted flow through the system. This saves substantial time and dollars for cities. By lifting gravity effluent directly at the point of entry, without water loading or a wet well, the DIP System overcomes the drawbacks of retained volumes of effluent. Reduce costs and increase the performance of your pump stations by converting your existing wet walls to the DIP System®. Reduce costs and increase the performance of your pump stations by converting your existing wet wells to the DIP System®. By educating our customers about the machinery they rely on for their day-to-day operations, C&B Equipment can help increase uptime, while decreasing the need for costly off-site repairs. That’s what we call Uptime Solutioneering™. Where Can You Use Gardner Denver Air Compressors, Blowers and Vacuum Systems?